Site is closed and gated for the season. Miller Creek will open with a host in Spring 2019.For off season rentals, see info below. Site Description:Miller Creek was expanded in the spring of 2018 to include 21 new sites with plenty of options along the lakefront and through the forest. 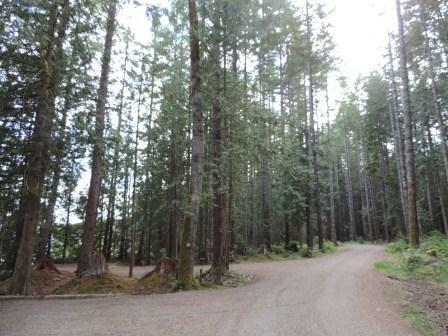 This site is nicely layed out amongst the fir and hemlock with a great beach for summer activities. With this site being close to town it is popular with family groups. The day-use area includes a beach, boat launch and dock. There is a trail that leads to the narrows and a fishing hole, and old roads provide hiking opportunities. Lots of nooks and crannies on the lake to explore too! Please pack out what you pack in as there are no garbage disposal services at Miller Creek. 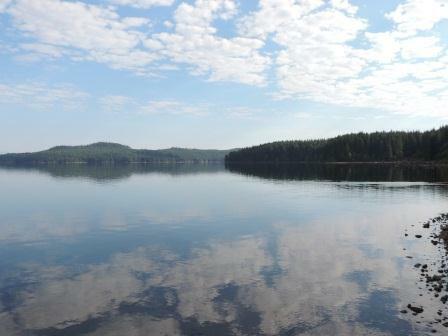 Miller Creek Recreation Site is available for rental during the off season for larger groups. For more information, please contact McGrath Contracting Ltd.
Driving Directions: From Campbell River, head west on Hwy 28 toward Gold River for approximately 15kms. Just after Echo Lake, turn right at the Miller Creek Campground sign onto Elk Main(gravel)and travel 500m, turning right at the next Miller Creek sign onto Miller Main. Follow the road until you reach the powerline, veer right under the powerline and take the next left down into the site.